Canada has lost its competitive edge and needs to make some adjustments to keep up with the U.S. economy, according to the former governor of the Bank of Canada. 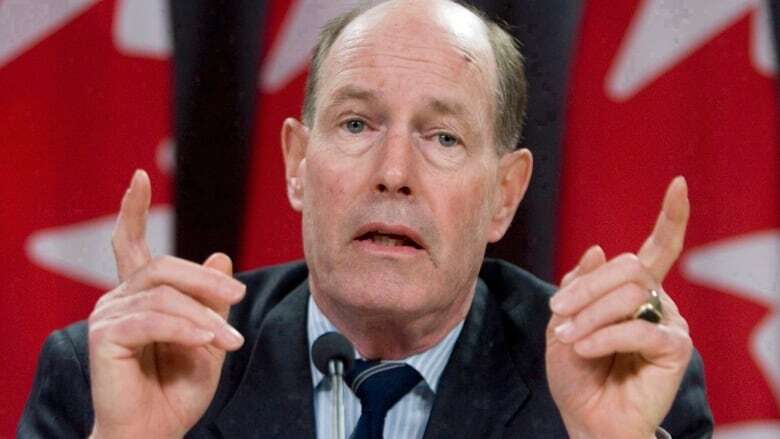 There's no question in David Dodge's mind: Canada has a competitiveness problem. Investment in the U.S. is booming, fuelled partially by the uncertainty President Donald Trump is creating over the future of the North American Free Trade Agreement, and partially by his tax plan that cuts the top corporate tax rate from 35 per cent to 20 per cent beginning this year. Last year, U.S. investment in Canada was nearly half of the $40.6 billion recorded just four years earlier, according to a report from Canadian Manufacturers and Exporters. Over the same period, Canadian investment south of the border more than tripled. Despite numerous calls to match the U.S. corporate tax rate, Finance Minister Bill Morneau has maintained he doesn't want to react too quickly to Trump's approach, but he's also made it clear he wants to address the issue of competitiveness in his fall fiscal update. Canadian productivity compared to the U.S. has fallen because we haven't kept up with the appropriate level of investment to keep the economy moving forward, Dodge said. "The question is, how do we tackle it," he told The House. While there are external factors outside of the control of the government, policies, regulations and legislation can be changed. Over time, Canada has created processes that make it very unattractive for private investors to move their capital here, Dodge said. Issues with moving goods and services around the country freely have posed large, expensive challenges to investors. "We've been creating this problem for ourselves for a number of years," he added. "Our real challenge is to stop shooting ourselves in the foot." Dodge explained fixing the problems doesn't just fall on the shoulders of the federal government, but also on provinces, municipalities and individual citizens. Legislative adjustments at all levels of government will help curb the economic free fall, he said, and it's time to do damage control. "We've made that process very much more complicated and that has really hurt our productivity." FULL EPISODE: The House: Is Ottawa ready to ban handguns?